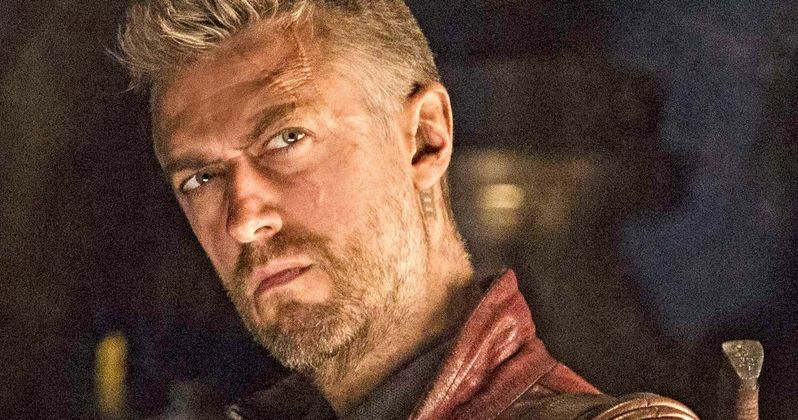 Sean Gunn is still on board for Guardians of the Galaxy Vol. 3. While we still have no idea when it's going to happen, Marvel Studios still intends to make the third entry in the trilogy, despite James Gunn having been fired by Disney last year over a series of old, offensive tweets that resurfaced online. One might have thought that would put the actor's status for the project in doubt, but he's made it clear he's still in. The Captain Marvel premiere recently took place and Sean Gunn, who plays Kraglin and also is the on-set actor for Rocket Raccoon, was in attendance. While walking the red carpet, he was asked about Guardians of the Galaxy Vol. 3, which was originally supposed to shoot this January. Gunn admits that there is some uncertainty, but asserts that he's still game to do his part. Here's what he had to say about it. "I don't know exactly how that's all gonna work but I feel like we are going to make the third movie, I'm excited to make it, I think it's a disservice to the fans if we didn't make it and I know the people who worked on the Guardians movies are really a family, and we're gonna come together and make the best movie we can regardless of who's in charge." The entire cast did their best to try and get Disney to reverse their decision, penning a letter that they all signed to voice their support for James Gunn. The studio stuck to its guns (no pun intended) and, for now, the project is still without a director. Though, it's been confirmed that they still intend to use the script that Gunn had completed prior to being fired. As for James Gunn, he's since moved on to write and direct The Suicide Squad for Warner Bros. Dave Bautista, who plays Drax in the Marvel movies, has been particularly vocal about his distaste for Disney's decision to fire the filmmaker and even expressed his desire to sign on for his upcoming DC flick. Sean Gunn, also while walking the red carpet, addressed whether or not he's going to try and jump ship as well. "It's interesting to me as an artist. It's even more interesting as a brother. My brother and I have worked together in many capacities, since we were kids. If he wants me to do something, I will do it. But one of the things I respect most about him is that he's a storyteller first and foremost. So he's not going to try to cram me in there if I don't belong. If he has a part for me, I'd be happy to go do it, but we also have our separate careers and I'm doing my own thing as well, so we'll just see what happens there." This adds another layer to an already complicated and fascinating situation. For now, Marvel hasn't indicated when they're going to get around to Guardians of the Galaxy Vol. 3 but it seems to be on the backburner for the time being. We'll have to see how this all unfolds, in due time. This news was previously reported by Variety.